Addison Park is a modern and trendy wedding venue it's black-and-white checkered floors make it stand out from any other venue in New Jersey. 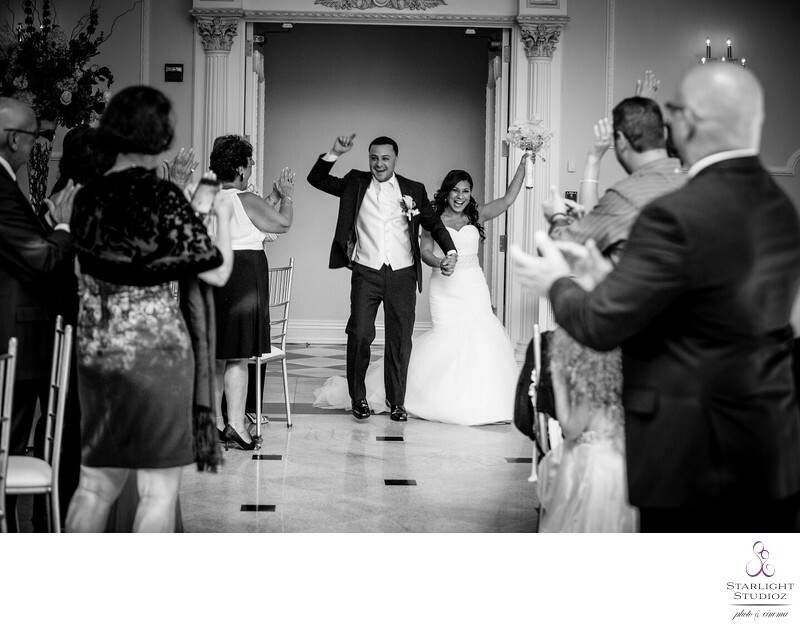 A few years ago we had a bride and groom book their wedding at Addison Park after seeing a portrait of a couple on their wedding day on the main floor. It's a very different location that stands out from the rest. Other beautiful spots it take wedding day photos at Addison that are absolutely breathtaking are by the fountain another favorite of ours. The grand staircase is absolutely stunning and the ballrooms are simple yet classy. What are you looking for when you're looking for your wedding venue are you looking for something classy, modern, rustic, traditional, or do you want to just get married on a vineyard really depends on what you and your fiancé envision for your wedding day what is your dream wedding look like. The grand staircase is a perfect location for the first look. The groom on the bottom of the stairs as the bride starts walking down the beautiful black and white staircase and as she reaches the bottom and taps him on the shoulder he then turns around and is an awe by his perfect bride. These photos will be gorgeous when you capture from 2 angles, one using a canon 24-70 lens and the other getting the close up wedding photos of their reactions during the first look. In a few short hours will be walking down the aisle to say to have and to hold hold forever in good times and in bad. Location: 150 NJ-35, Keyport, NJ 07735.